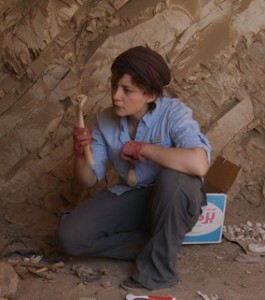 My name is Anne Austin and I am an Assistant Professor of Anthropology & Archaeology at the University of Missouri—St. Louis. I received my Ph.D. in the Interdepartmental Program of Archaeology at UCLA. My research focuses on using human skeletal remains in conjunction with art and texts to understand ancient Egyptian culture. 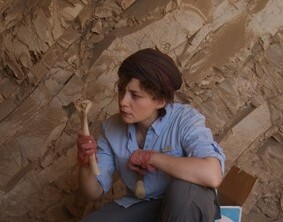 I’m researching how health and disease affected the village community of Deir el-Medina during the New Kingdom period. Additionally, I’m studying the practice of tattooing in ancient Egypt. I was born and raised in Dearborn, Michigan where I gained an appreciation for the sport of fencing. I fenced from age 10 through college, where I had the honor to be the co-captain of Harvard’s Women’s Fencing Team. Since then, I’ve taken up boxing as a hobby sport! It’s basically fencing with your fists, right? To learn more about me, feel free to contact me directly!